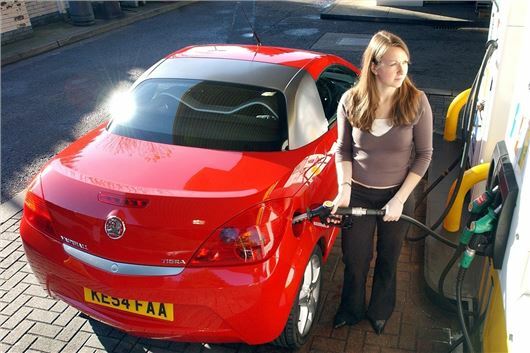 Lower fuel prices will save motorists £143 a year on average – a total of £5.3bn across all UK drivers according to analysis by financial services company Hargreaves Lansdown. The saving is equivalent to a 1.3p drop in the rate of income tax and represents a much greater saving than the £0.5bn UK consumers will see from reduced energy prices. The analysis is based on an average annual mileage of 5671 miles, however there are regional variations in fuel prices and average mileages. Londoners, for example, tend to cover the fewer miles annually and so will see the least benefit – around £36. However higher mileage drivers stand to make larger savings. Based on 10,000 miles a year and official fuel economy figures, owners of the current Volkswagen Golf 1.2 TSI owner will save £197. You can use our fuel calculator to compare models and find out which are the cheapest to fuel, or you can submit your real world fuel economy figures in the Real MPG section. ....But George Osbums palms are starting to itch !